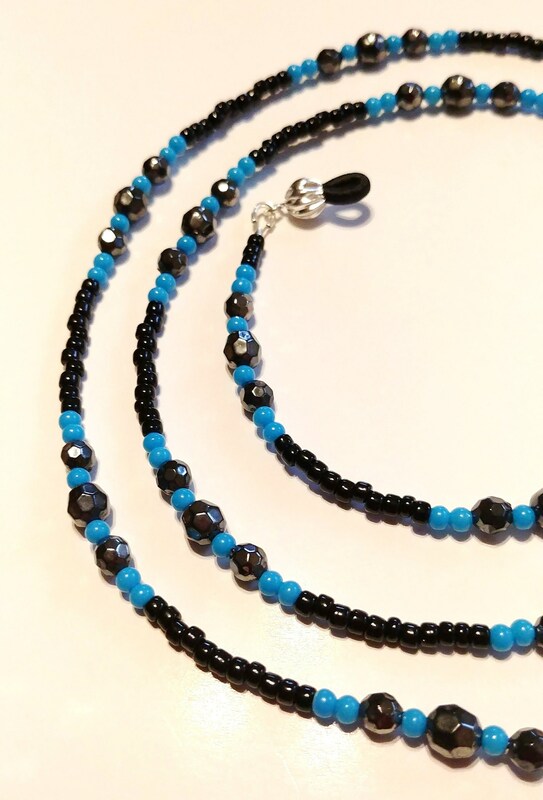 This eyeglass chain offers a very pretty combination of turquoise blue and black beads. It is a great, lightweight option, for a practical way to keep your glasses (or sunglasses) at you fingertips. If you're looking for useful, inexpensive, and pretty - this is your piece! 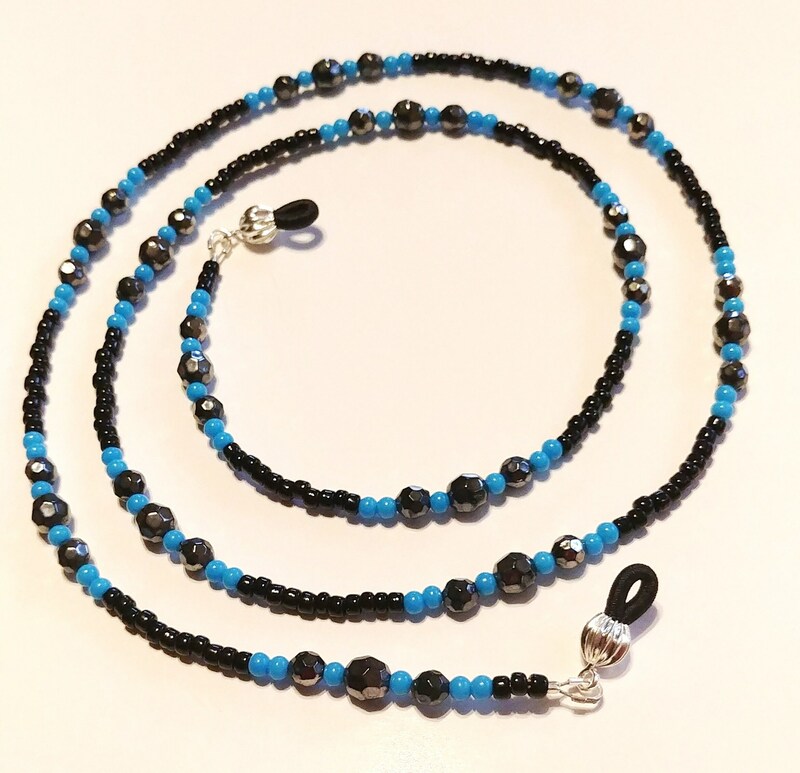 This eyeglass chain is approximately 30 inches long. 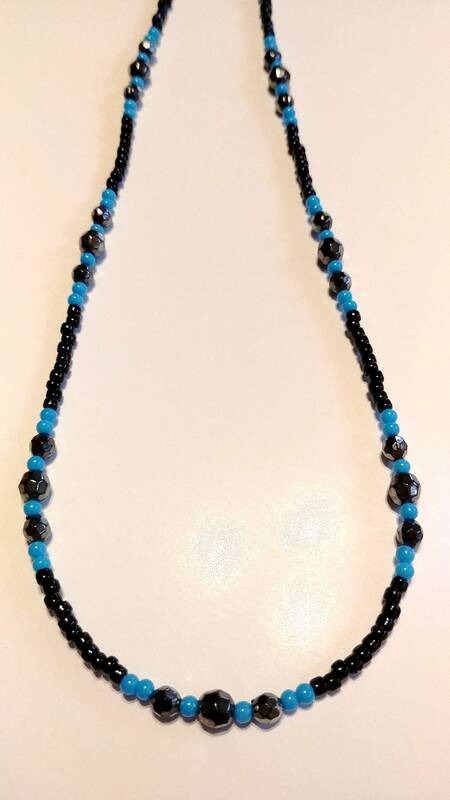 This piece is an original - designed, created, and handmade by Michele of MichelesAManoDesigns.